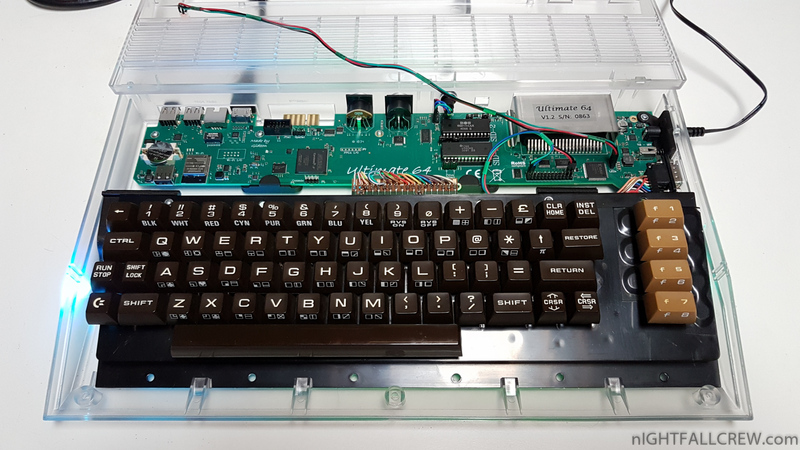 This Amiga 2000 is arrived in my lab in very poor condition in April 2016, the computer has been repaired and stored in an antistatic envelope. 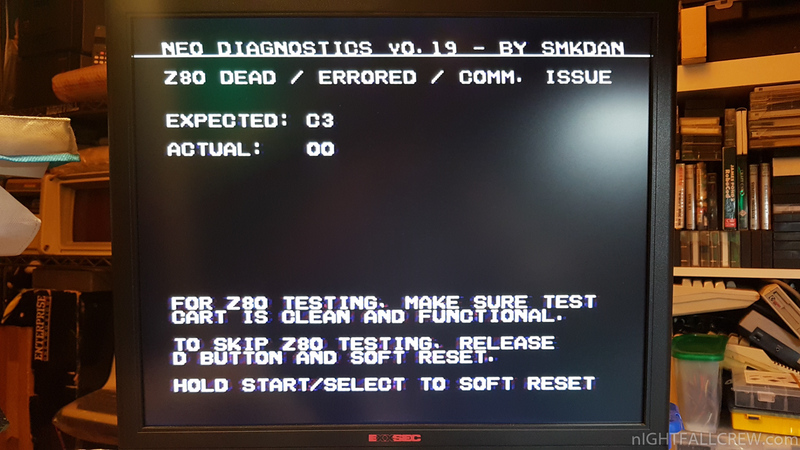 Tested after almost 3 years, the computer does not show signs of life. 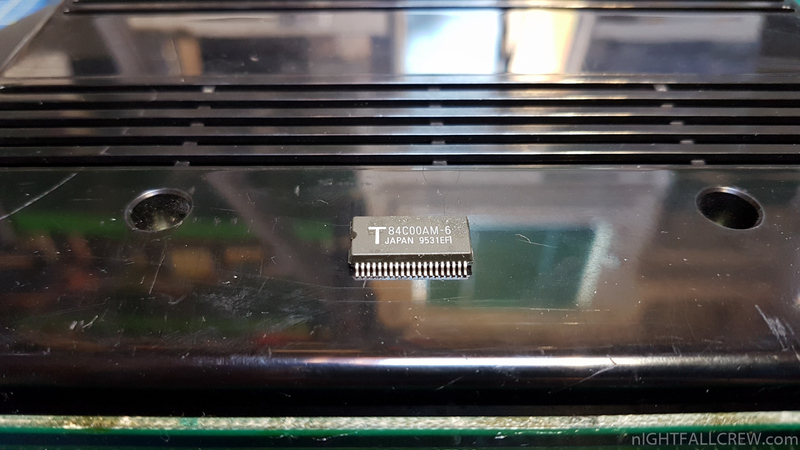 Having no video output, i have used the Chucky DIAGROM which through a serial connection i was able to identify 2 different problems with the RAM’s. Below some random photo of the repair. First of all i have to thank Filippo Santellocco (Philsan) for this unexpected gift that i really appreciate. Supports ATR files (read/write) – support is limited due to cartridge port constraints. Firmware is upgradeable via SD card. The songs are complete from beginning to end but for reasons of length of the video i have cut the songs. The video can be only downloaded, because Youtube and Facebook have blocked the video streaming for copyrighted content, really ridiculous as the audio tracks are not complete and certainly not faithful to the original. 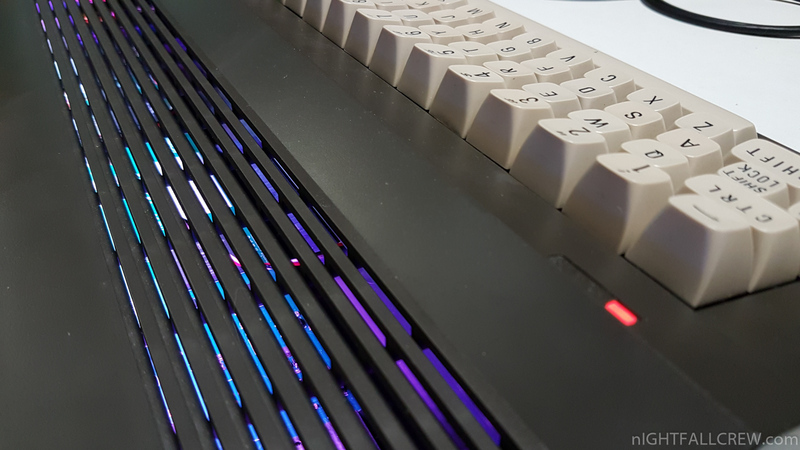 My personal note; the only two home computers that i follow with passion are Commodore & Atari. 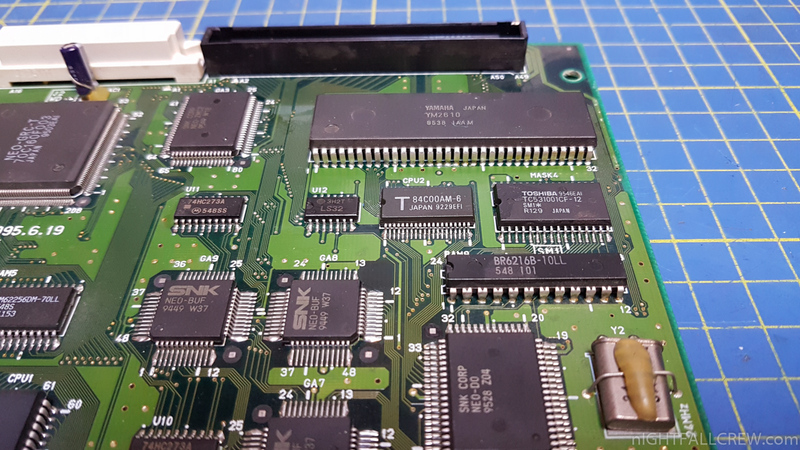 Jean-François DEL NERO (who’s behind the HxC SD Floppy Emulator) recently has released a version of the HxC emulator firmware that is compatible with the STM32 chip used in the Gotek floppy emulators. 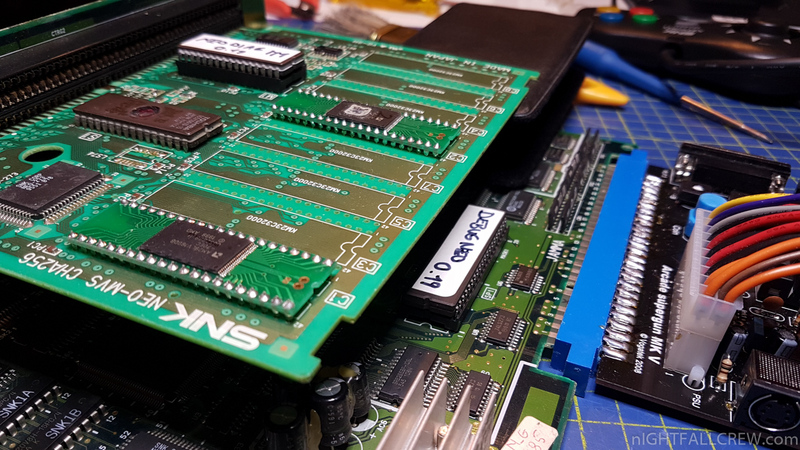 This means that the great functionality of the HxC SD emulator is now available on cheaper and more widely available hardware. 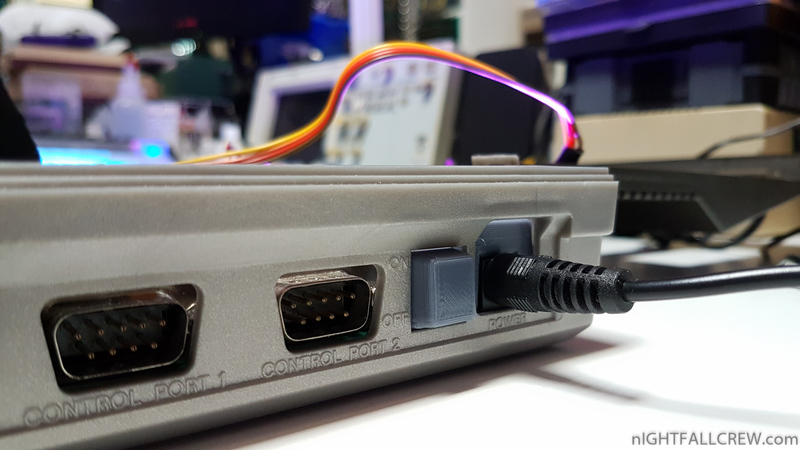 The HXC Usb (Gotek) firmware supports: + many more…. Raw file image/disk format selection. You can now define your raw file image/disk format ! 16 different oled graphic fonts available. 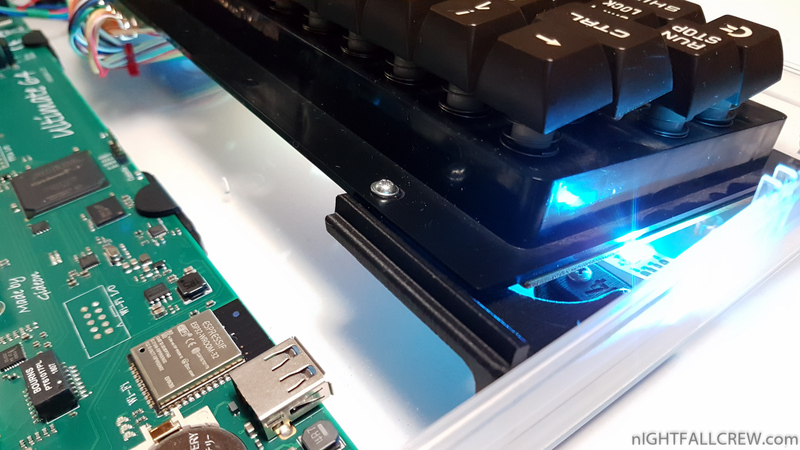 New oled screen models supported (128×32,128×64, SSD1306, SH1106…). Fix Track 00 issue (v3.1.34.1a regression). AutoSwap support enhanced/completed (sub-folders in normal mode supported). Direct access mode : Some fixes for the auto disk swap (“AutoSwap”) support. IIII = Object ID (ASCII HEX Number). SSSSSSSS = File Size (ASCII HEX Number). Mode 2 – Slot list mode. Change Objects list ID base (0×6) (Plain text browser). Select/Enter Object (0×7) (Plain text browser – Image/Directory selection or File tranfert mode). 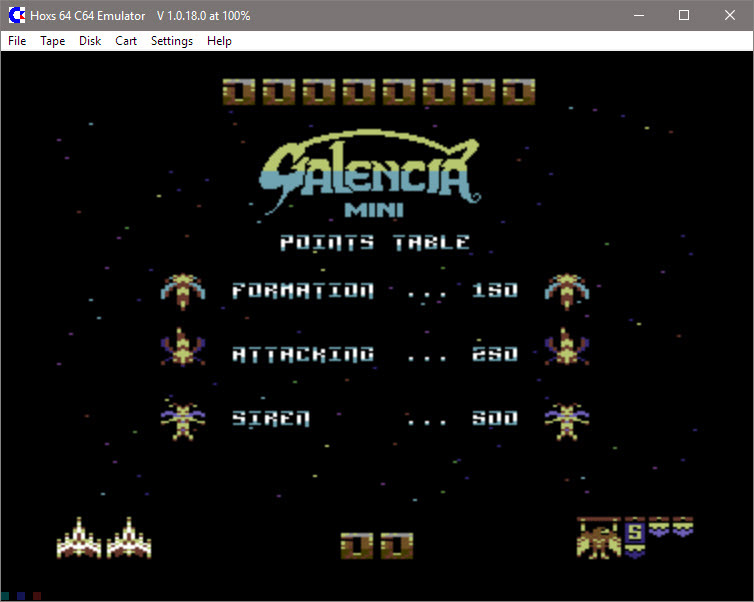 Set file base offset (0×8) (File transfer mode). Get current selected image (0×9). Select file with path (0xA) (Select image with a plain text file path). 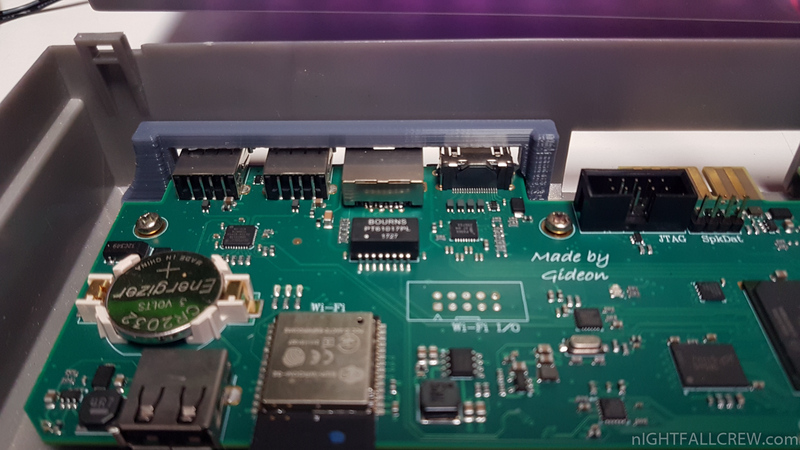 First online-customizable firmware available ! 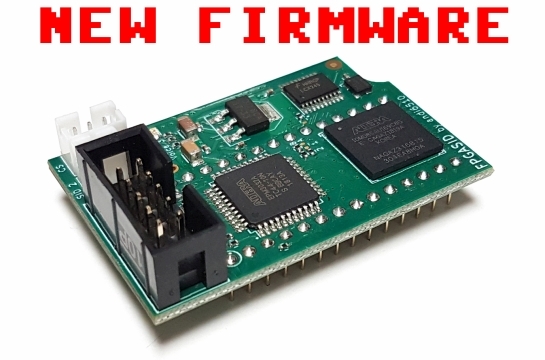 Fill up the form on the page to https://hxc2001.com/custom_fw/ customize the firmware. 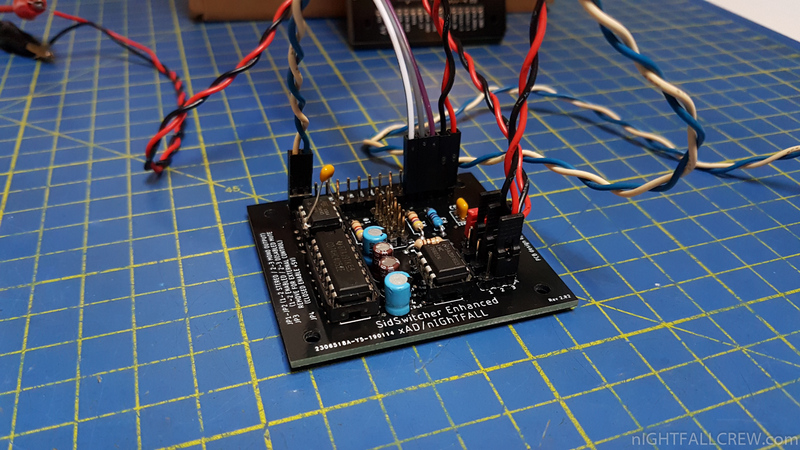 The firmware will be recompiled/rebuilt following your requests and sent to the provided email some minutes later. This is a fully automated and free service so don’t hesitate to play with it ! :). More and more options will be added on the customization page. Fix v3.1.34.1a regression : Disk density selection issues with some raw formats. Please update. Files & Folders names starting with ‘.’ are now hidden. 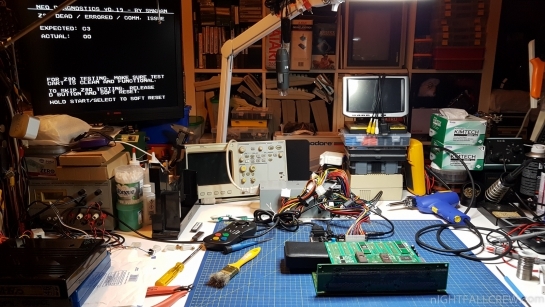 Firmware memory size reduced once again : More tables size optimizations. 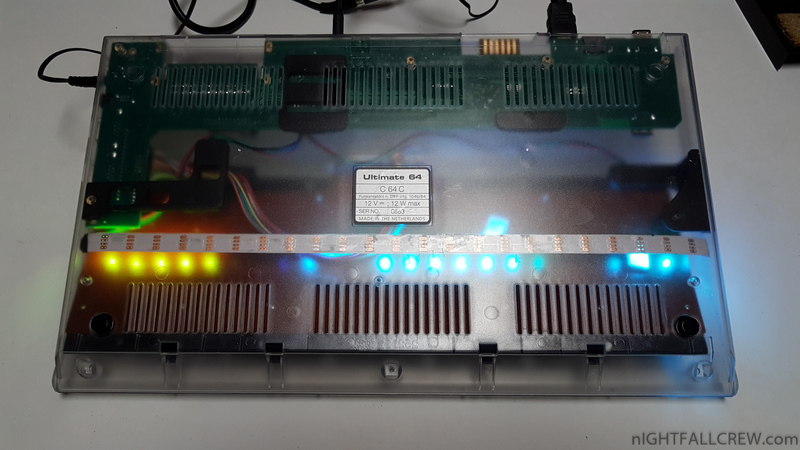 A new version of the firmware for the Ultimate-64 / U2+ / U2 by Gideon is released. 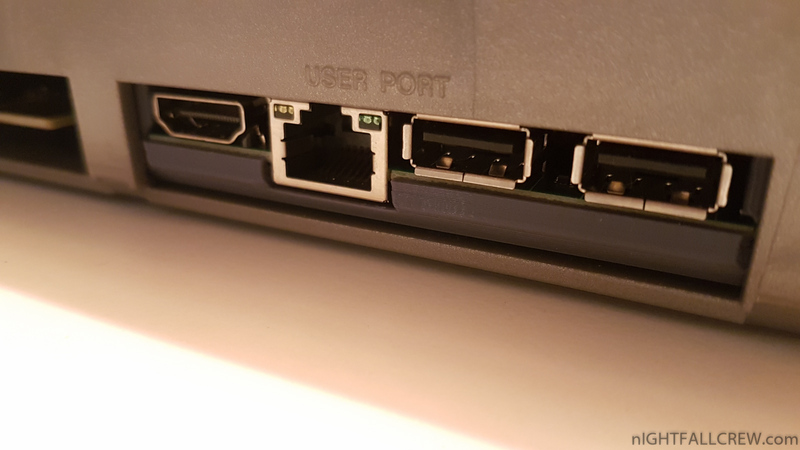 The USB2LAN problem is now fixed. This bug took me over 50 hours to find and fix. All other under the hood fixes that were done for U2+ and U64 that apply for U2 are backported to the U2 as well. 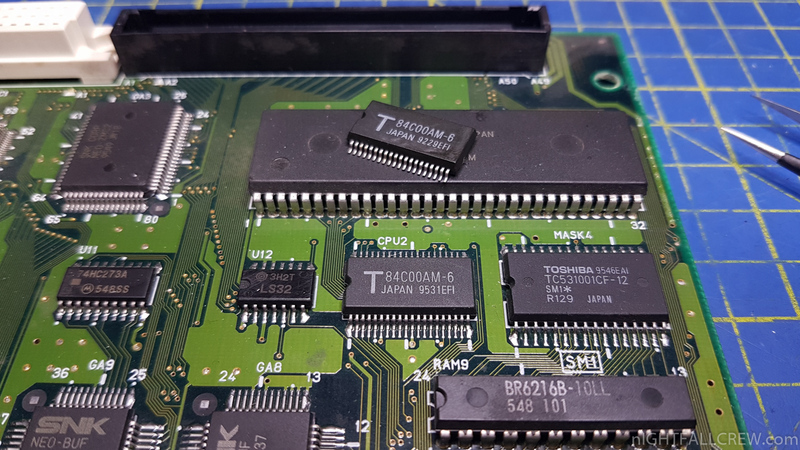 Ikari has released a new firmware for the SD2Snes Flash Cartridge (Super Nintendo/Famicom). The upgrade instructions can be found here. 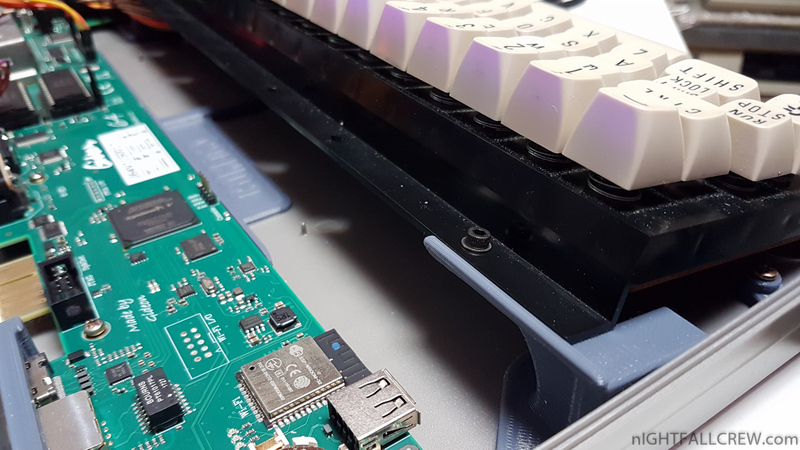 Support for sd2snes Mk.III (a.k.a. 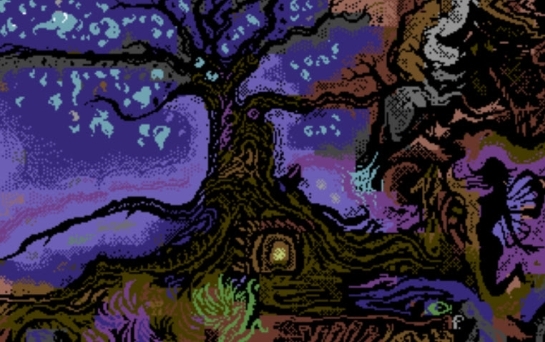 SD2SNES Pro). 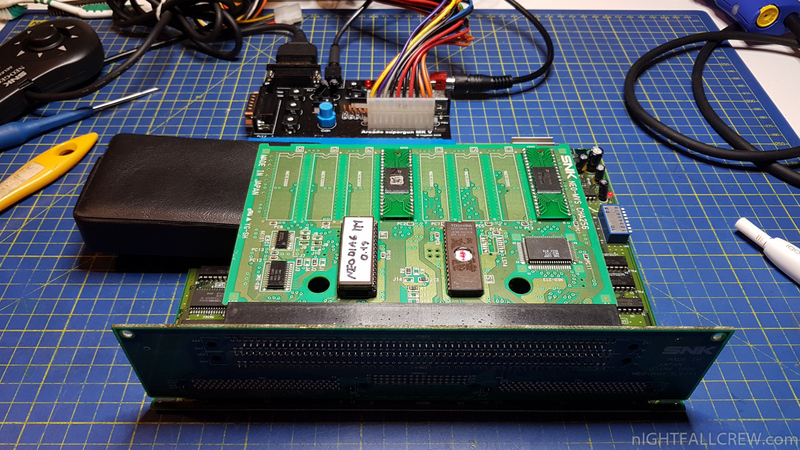 This works by adding a new set of support files for the new hardware so the firmware package actually contains two firmwares. This also makes it possible to swap the same card between old and new sd2sneses freely. S-RTC register state is REALLY reset when the console is reset, and also when loading a game. 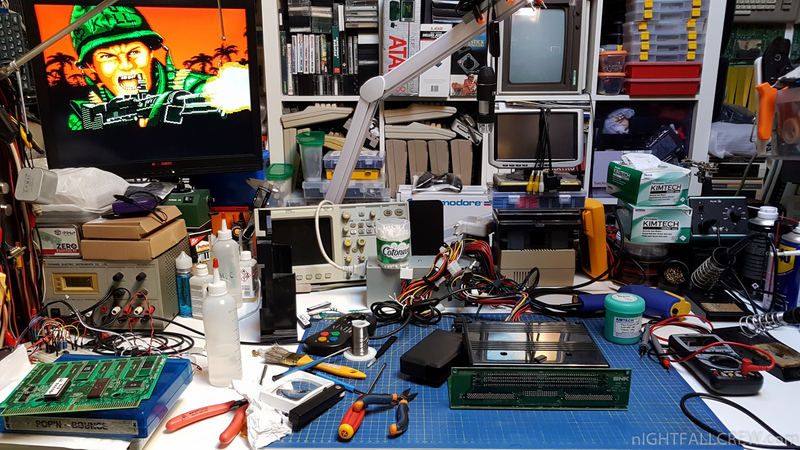 Actually boot on SD2SNES Pro. 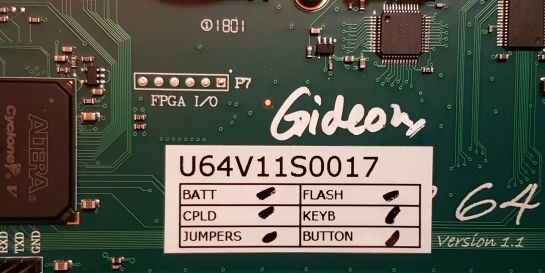 A new firmware update for the fpgaSID has been released by andi6510. Below the changelog taken directly from the website. New 6581 bias setting range and curve. Per default the bias is now tuned to a brighter sound which is the most audible difference to revision 09. 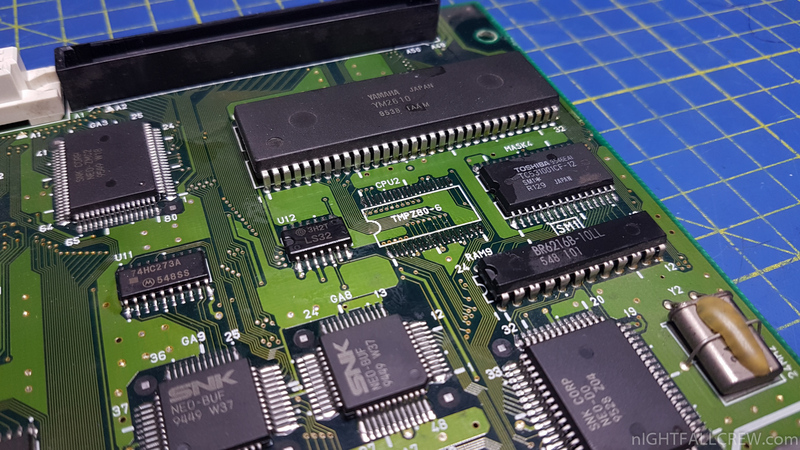 Some further improvements on the 6581 filters. 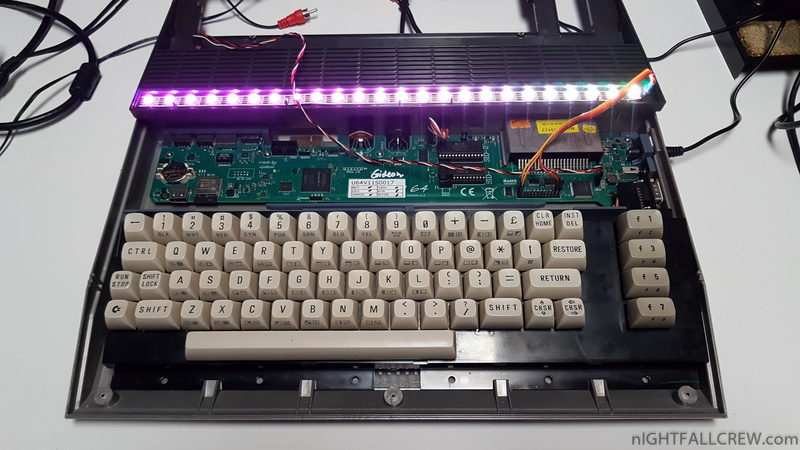 LEDs can be switched off now. The outputs can be switched to a mix of both SIDs allowing mono setups with a single speaker. The firmware flashing procedure has been improved to increase the success rate. 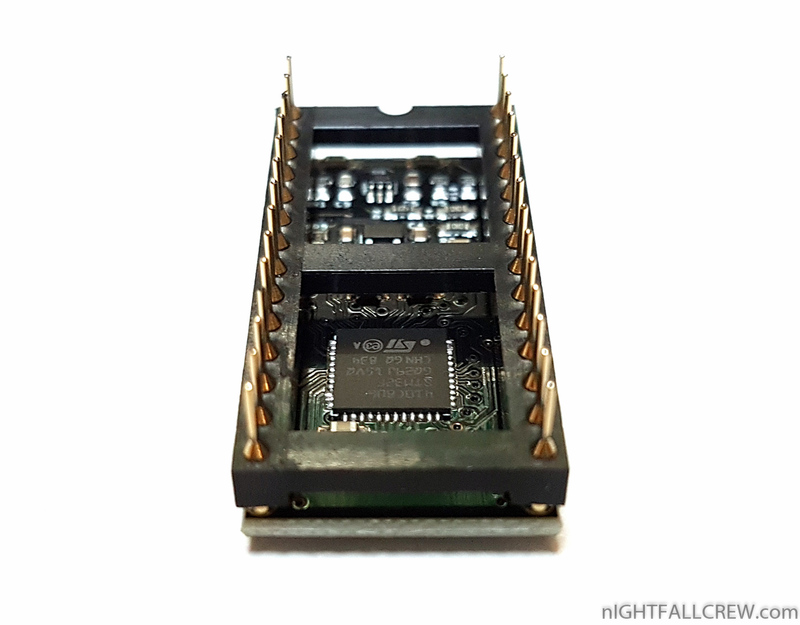 FPGASID is now compatible to the EasyFlash 3 module. Important! 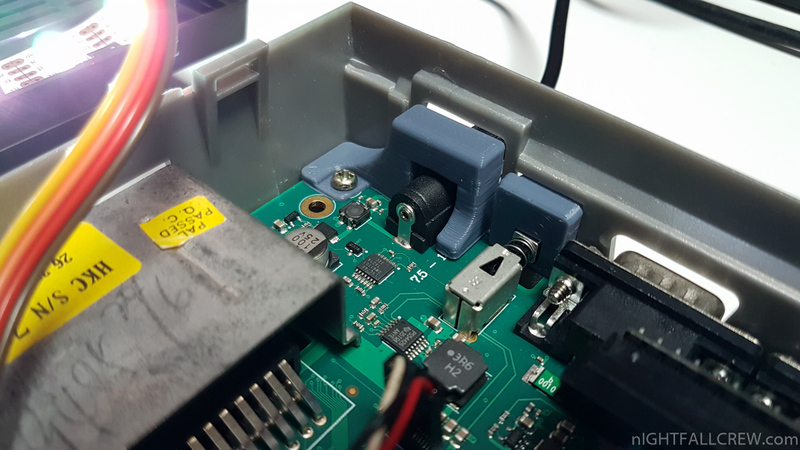 Before updating the firmware, please read the documentation on flashing in the ConfiGuru manual. 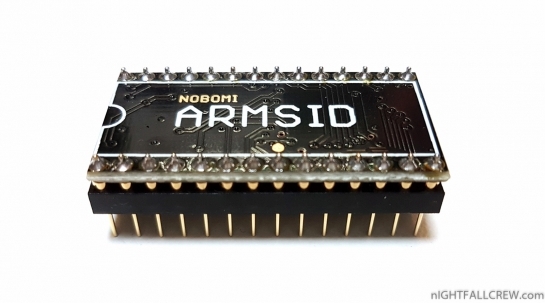 ARMSiD by Nobomi New Firmware v2.8 & New PCB rev. Nobomi has made a new revision of the ARMSiD PCB which however has the same hardware features as the previous one. 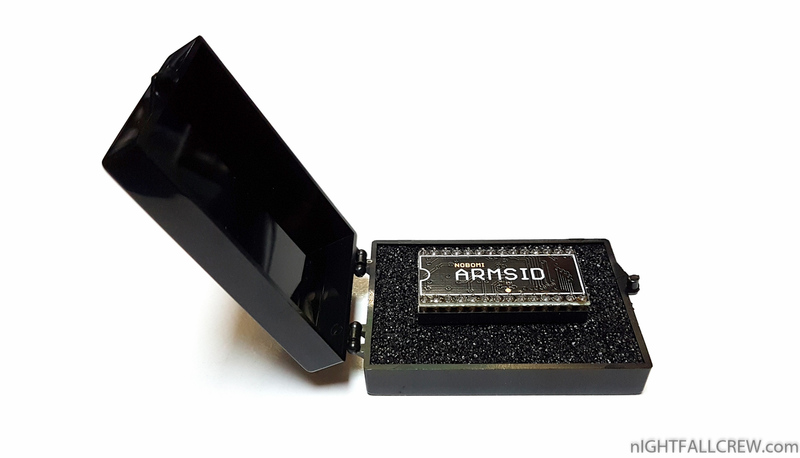 A new firmware update for the ARMSiD has also been released by Nobomi. Below is the changelog taken directly from the website. 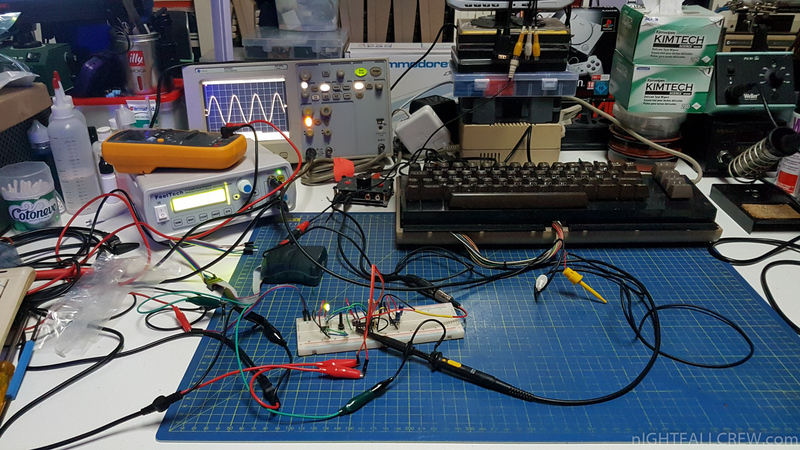 The start and the end of the bus data cycle (reading or writing) is now controlled by signal CS only (it was the same on the beginning of the cycle, but the end was controlled by 02 clock before), it can help with a bus stability in other systems than C64 a C128. 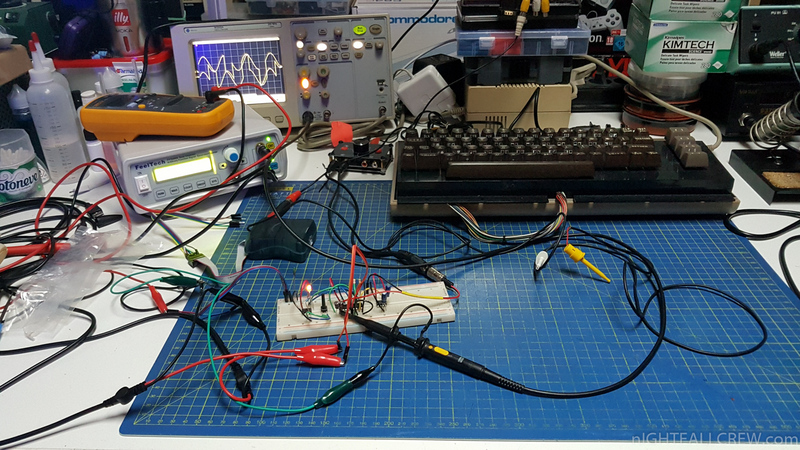 Internal frequency generators are updated with precision of one 02 clock – about 1us (no audio signal phase changes after frequency retuning) ! Correct polarity of the bandpass filter. 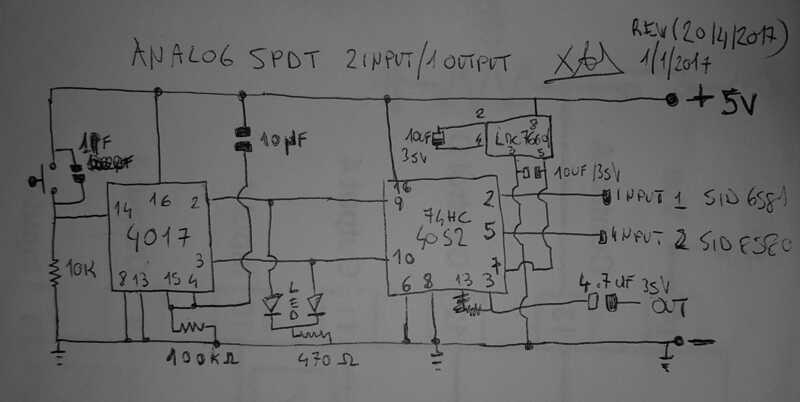 Added emulation of internal filter voltage offset. 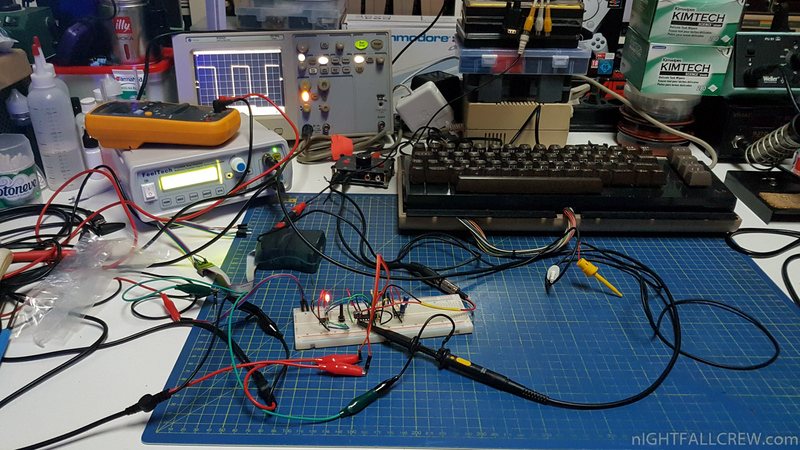 Added the “Digi Boost” feature by software – an effect similar to adding 330kOhm resistor between EXTin and GND on the MOS8580. 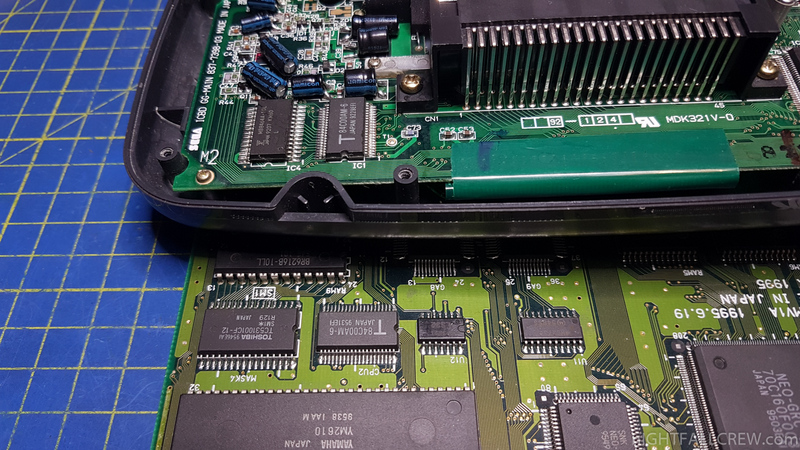 Fix 1541 drive memory map that was broken since v1.0.14.0. The title Intoxication by Singular is now working again. 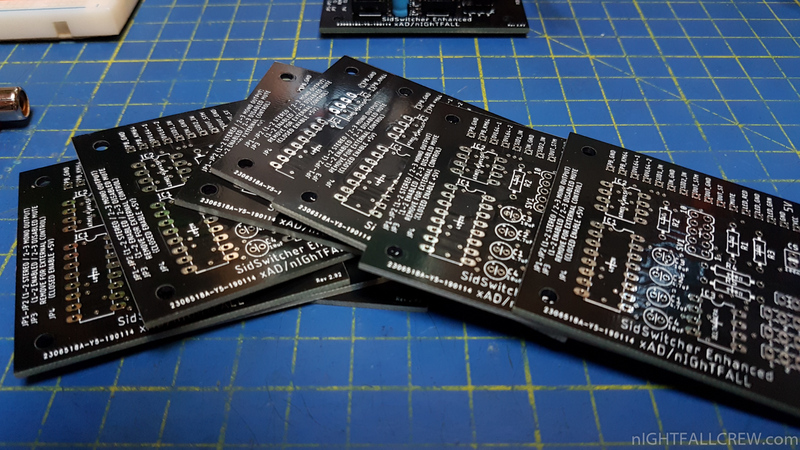 I wanted to improve the schematics and make a PCB (thank to CodingKoala Labs), the previous version was made on prototyping board pcb. 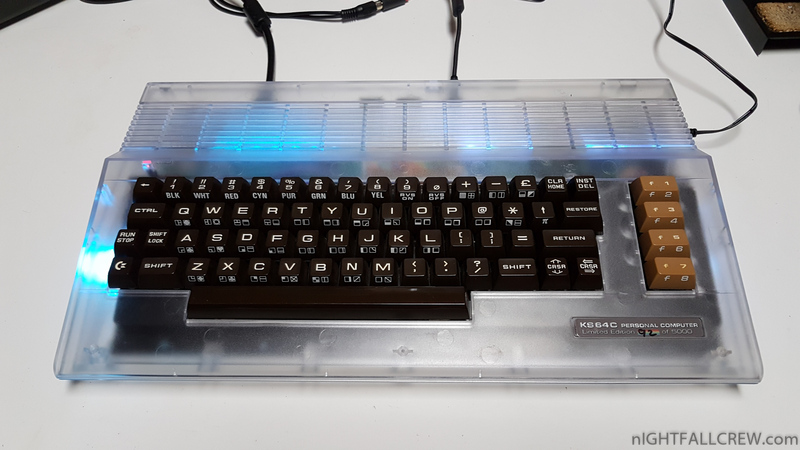 I have also added some features that i need when i will install the FPGASID in the SX-64++ and like the previous version the sidSwitcher integrates perfectly with the Overlay-64 & Keyman-64. This circuit is not for sale. 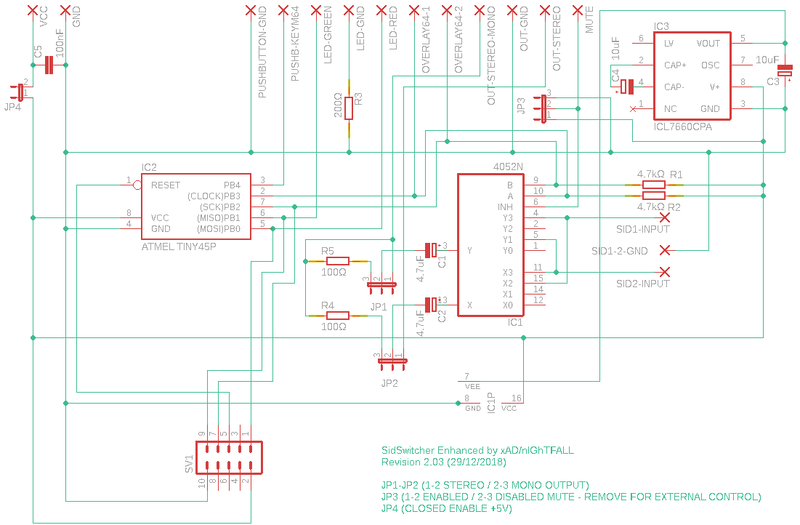 Schematics, Gerber and Atmel hex will be available soon for Download. P.S: This project can also be used as a simple SPDT of analog audio signals. 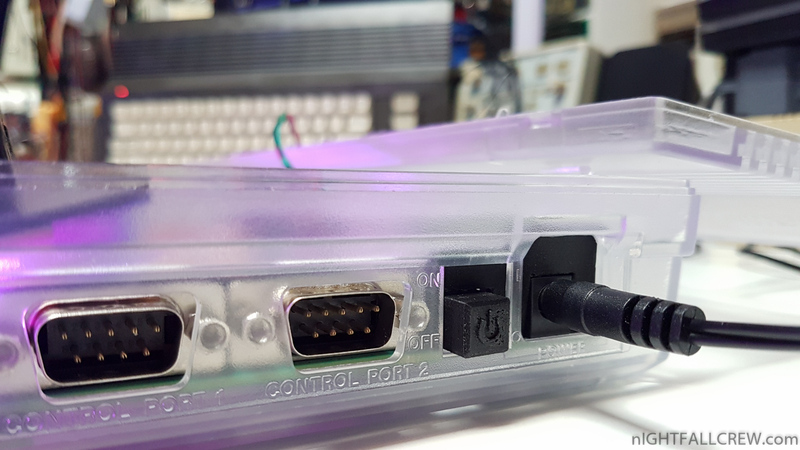 2 INPUTS and 1 OUTPUT. Possibility to use the mute function. 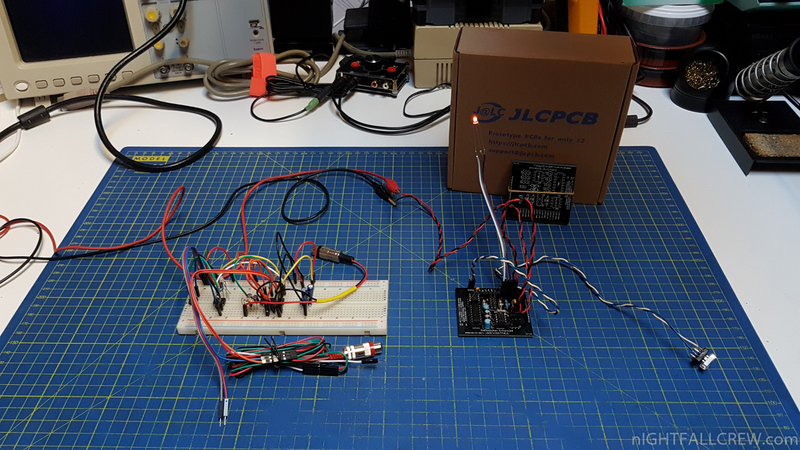 The following photos are of the first version, second enhanced version, prototype breadboard and pcb. 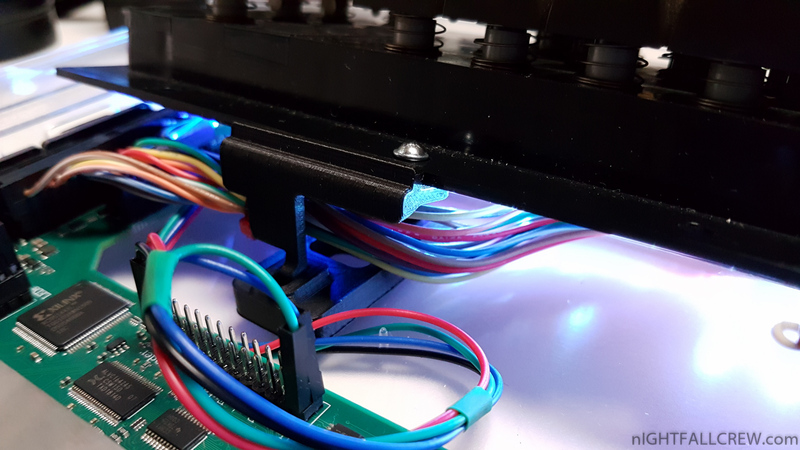 The RGB LED strip (APA102C) is a feature that has been added since the firmware version V1.0D, this version will be released very soon. Both KITs do their job and integrate perfectly with the case. 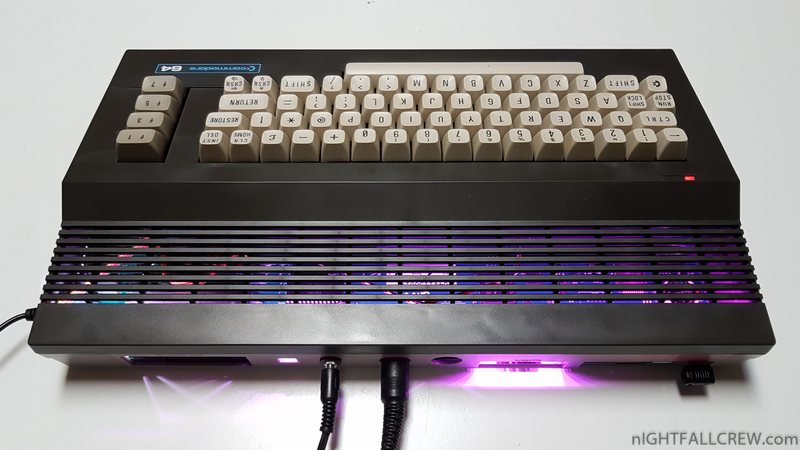 Just a note, but it was my error, i didn’t read the description written on the site, the kit sold by corei64.com is not compatibile with the U64 motherboards v1.0 because there is a keyboard adapter, i solved quite easily by cutting a piece of plastic of the right side keyboard support. 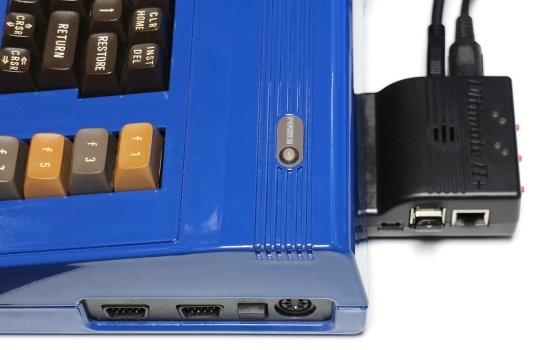 The two ULTIMATE 64 custom stickers with their S/N and the SX-64 Style C64C Case are on sale on PixelWizard.eu. The transparent C64C case is no longer available and comes from an old campaign on Kickstarter.